Ridley Scott to Direct (yes, Direct!) New ALIEN Movie! 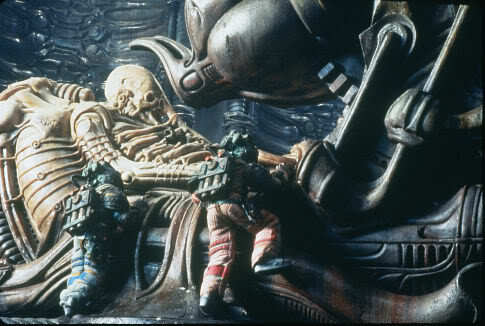 The news that Ridley Scott was producing an Alien prequel hit the Internet with a thud a few months back. But Fox has recently announced he will not only be producing … but directing! The film will be written by Jon Spaights. Spaights has no produced credits, but his Sci-Fi script The Passengers impressed Fox enough to offer him a chance to pitch, and the pitch won him the gig. No news yet on plot details. And fan reactions seems mixed on the idea of reviving the “Space Jockey” idea. We’re not so sure about that either. But Ridley returning to Sci-Fi is good news! 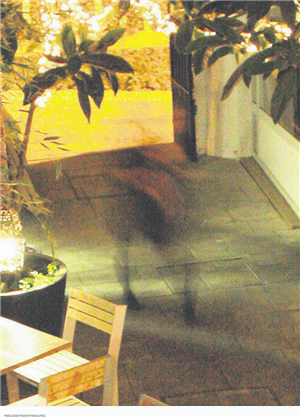 Photos: Ghost Photo from Norwich Cinema! City-based photographer Andrew Kitt felt chills down his back as he processed his pictures from a photo shoot at Cinema City. As he flicked between two images of the venue’s courtyard, he noticed a shadow in one of the pictures that was absent from the next shot in the sequence. Zooming in on the image on his computer, Mr Kitt saw what looked suspiciously like a figure. As he looked closer, it appeared as a hunched shape wearing what could, with a little imagination, be described as Tudor-style dress. “The hairs on the back of my neck went up when I first saw it. I’m keeping an open mind. I’m not saying it’s a ghost or anything, but it is certainly strange,” said Mr Kitt. He took the picture from steps overlooking the courtyard at about 10.40pm one night last month , and while he cannot explain the shot he is adamant that it has not been tampered with in any way. “It’s not a hoax. Nothing has been done to that image,” he said. Video: Robots Rule the World! This impressive short is jam-packed with ideas and originality. Part Sky Captain, part THX-1138, and all fun. The best seven minutes you’ll spend all week! For more on this short and a teaser for a follow-up, click here. Lost Dog Found … After Nine Years! A FLEA-bitten dog rescued from a squalid Melbourne back yard is to be reunited with her overjoyed Brisbane owner – nine years after she disappeared. And 17-year-old Chloe Rushby, who was only eight when her best mate disappeared, can’t wait to have Muffy back in her arms. 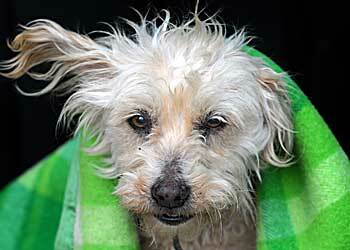 Chloe and her family screamed with joy when the RSPCA called to say Muffy was alive – much older, very scruffy and 2000km away in Melbourne. “It would be fair to say that they were extremely elated and extremely excited by the call,” said RSPCA inspector Gail Coulter, who found an emaciated Muffy after an anonymous tip. 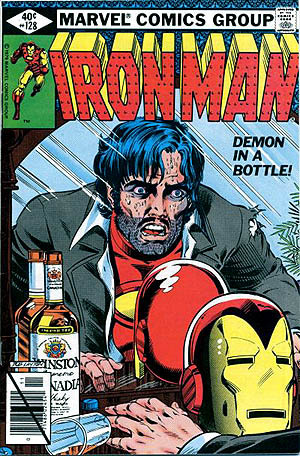 Feige was referring to the critically acclaimed story “Demon in a Bottle” from the Iron Man comic book which examined Tony Stark/Iron Man’s descent into alcoholism and eventual recovery. The story ran over nine issues in 1979. 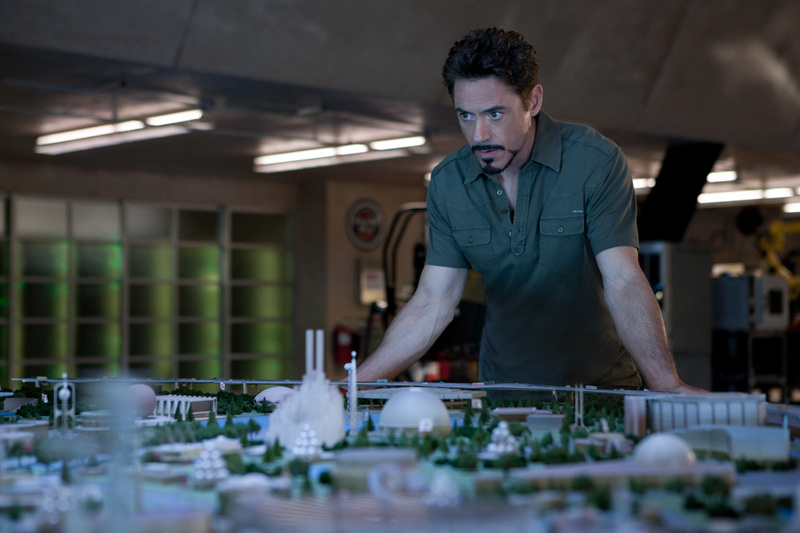 Feige went on to say, “”About midway through the film [Tony Stark] hits rock bottom. Rock bottom is not in an alley way with alcohol alongside a dumpster.” This somewhat counters original rumors about the film. And may disappoint fans who wished to see a cinematic version of one of superhero comics’ landmark stories. But, with the first Iron Man movie a favorite with adults and children alike, it’s probably a wise move to sidestep such adult storytelling. Not Quite Hollywood — the comprehensive documentary about Australian exploitation cinema of the sixties, seventies and eighties — which has already taken Australia and the festival crowd by storm will be opening in limited release this week in the U.S..
We’ve seen this film and give it our highest recommendation! If you’re a fan of “grindhouse” style movies, this is a must-see! 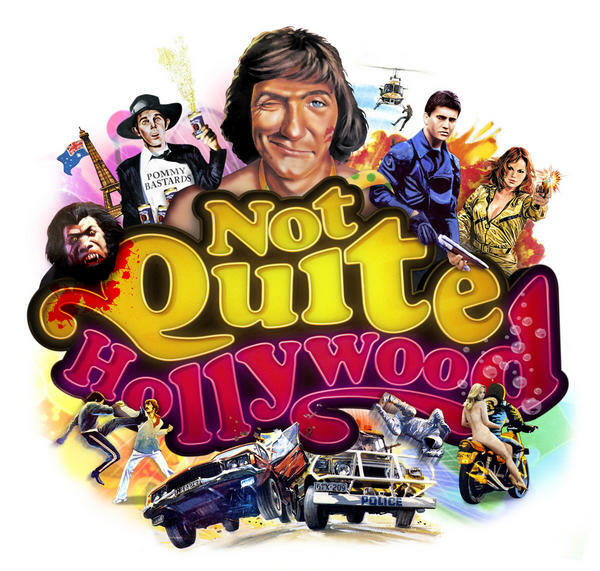 Like the films it examines, Not Quite Hollywood is crude, rude, irreverent and a hell of a lot of fun! Hundreds of Killer Chipmunks Roam the UK! Killer chipmunks …. really? I mean … really? Eighteen died and eight more were found or shot – but disturbingly FOUR remained free. At the time Defra – the Department of Environment, Food and Rural Affairs, said they were wanted “dead or alive”, because of the threat they posed to the countryside and native wildlife. They can also carry Lyme disease, which targets the nervous system and can be fatal to humans, and even rabies. With chipmunks reproducing at alarming rates there could be hundreds or thousands here now. In France their numbers have swelled to 100,000 after just 17 were freed from a park in 1980. Mum-of-four Susan, 44, from the Isle of Sheppey, Kent, said: “It was terrifying. I’ve never seen anything like it. “We could hear it banging about in the kitchen and when my husband went in it had its head in the cereal and was munching away. “He shouted and it ran back out into the garden. “We think it had a good go at whatever else it found in the cupboards as well. 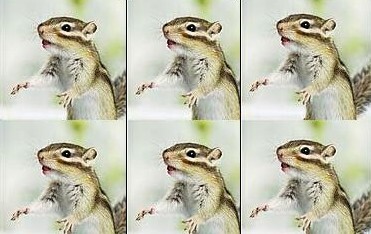 French naturalist Guy Bruel, who issued one of the first Siberian chipmunk alerts, is sure the rodent was one of them. Hmmm … killer Chipmunks … traumatized cats … it’s just so hard not to laugh. But we’ll contain ourselves.